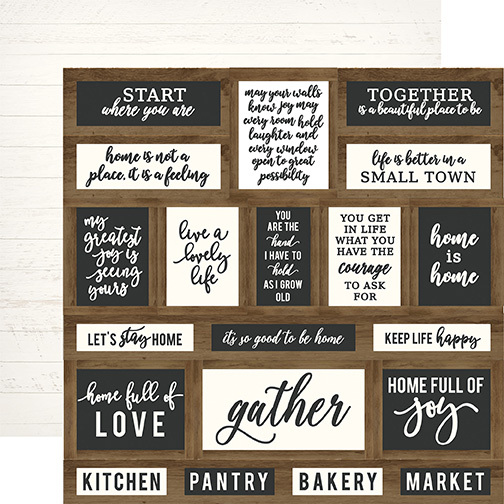 This 12x12 double sided paper has full of Labels that are perfect for cutting out and accenting any of your Craft Projects. The reverse side has a White Wood Grain Pattern. Look for other coordinating Designer Papers, Chipboard Elements, Enamel Dots. Ephemera Die-Cuts, and Designer Dies. Part of the Welcome Home Collection by Carta Bella.